The figures that have been released for violent crimes are 33% higher than it was. Families Fighting for Justice would like to say that right here on Merseyside we have a wonderful Police Crime Commissioner in Jane Kennedy, who recognises the need for as much help, support, guidance, information and Peer Support for those families who have been on the receiving end of losing a loved one to homicide. This is why Families Fighting for Justice who supports such families has been commissioned by Jane Kennedy to deliver the first of its kind right here, in the heart of our city, a city that cares, a city that will always remain proud. 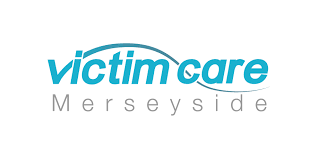 Please visit www.VictimCareMerseyside.org . If you need any help or support as on the Victim Care website there is an abundance of qualified reputable organisations who have been accredited for the work that they have been doing and still do to this day. Working together and recognising what victim’s families of homicide and culpable road death need can only be done by recognising, by working together, sharing, referring and acknowledging as Jane Kennedy has done by thinking about the most vulnerable in our society and putting into action all the help and support in one place which is the Victim Care website that can be accessed through the internet. Families Fighting for Justice as you will see from the link have been delivering The Hub a ‘One Stop Shop’ for the past two years and will continue to do so as we know victim’s families of homicide need that place where they can go without an appointment , five days a week 9.30am to 5pm. Please call us if you need our help and support 0151 709 2994.